'The Arrival Company' promises a 'unique take' on the hyperloop. Last year, Hyperloop One cofounder Brogan BamBrogan left the company after what appears to have been an internal power struggle. Lawsuits were filed on both sides, then settled, and BamBrogan and several of his coworkers parted ways with the company. Now, not far from where he and H1 had worked together on creating a near-supersonic transportation system inside a vacuum tube, BamBrogan has launched a new hyperloop company called Arrivo, with the tagline: "The Arrival Company." Besides CEO BamBrogan, founding members of Arrivo include four former H1 employees: Nima Bahrami, Knut Sauer, William Mulholland, and David Pendergast (those last three, along with BamBrogan, were referred to as the "Gang of Four" in Hyperloop One's countersuit last year). Another cofounder, Jadon Smith, was Senior Engineer at SpaceX, where the hyperloop was first conceived (Smith also used to work for Lockheed Martin and the CIA). 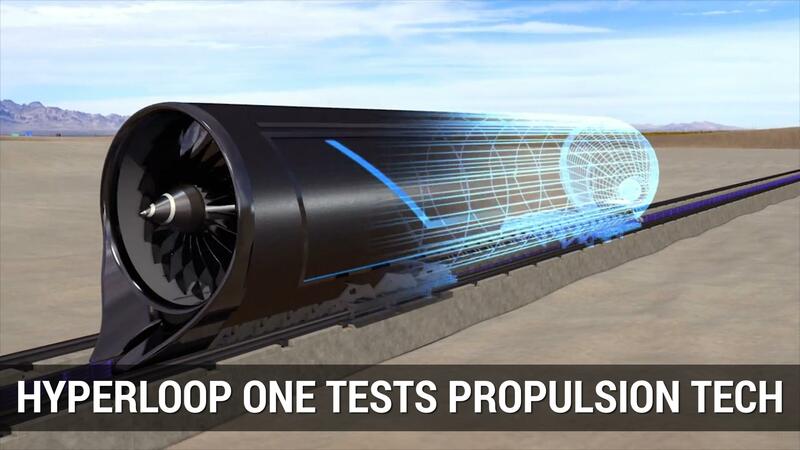 Cofounder Andrew Liu was Senior Vice President at AECOM, the company that constructed the mile-long hyperloop test track at the SpaceX campus. Arrivo aims to fill its roster with 30 engineers and a total of 80 employees by the end of the year. Los Angeles-based Arrivo enters an increasingly competitive – if still small – pool of groups racing to be the first to build a working hyperloop. Hyperloop One has its sights set on a route between Dubai and Abu Dhabi, among other locations. Hyperloop Transportation Technologies has a development agreement in Slovakia and the Czech Republic. The state-run Korea Railroad Research Institute wants to "preempt our global rivals" by connecting Seoul and Busan. Meanwhile SpaceX, which doesn't have plans to commercialize its own hyperloop, is encouraging independent teams to advance the technology as well. To be competitive, BamBrogan wants to take something nobody's even done yet and do it differently. He promises a "unique take" on the hyperloop, which will serve to transport both passengers and cargo, and says he's already in talks with partners around the world. For BamBrogan, the most important thing is that Arrivo takes the effort out of getting to the destination. After all, as Arrivo says, "Why travel when you can arrive?"